Getting a puppy is exciting and rewarding, but it can come with a few sacrifices, one of which might be your favorite pair of shoes if you’re not careful. Puppy chewing is so common, but you don’t have to resign yourself to years of gnawed-on furniture and lost footwear. They do it for the same reasons human babies chew: teething and exploration. Chewing helps the teeth come through and makes their gums feel better; meanwhile, putting things in their mouths is how they get to know the world. Of course, your dog will continue to chew as he grows up. That’s just part of being a dog! 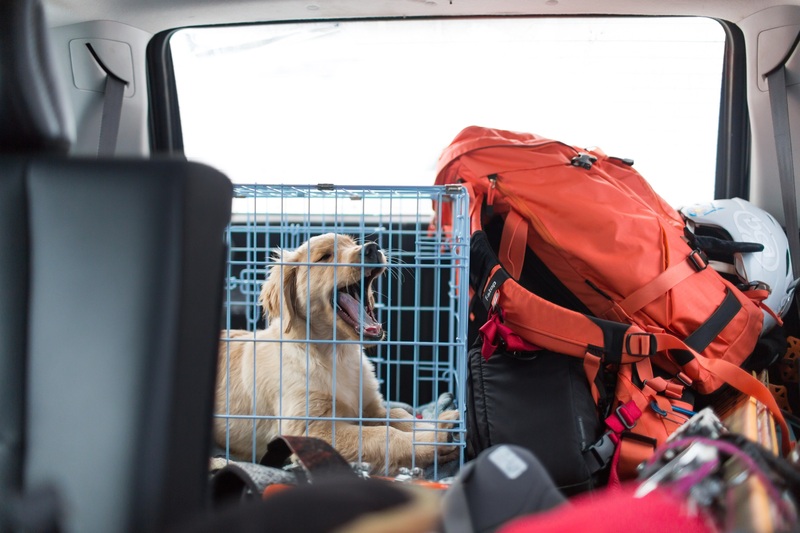 However, if you don’t keep an eye on his habits and train him appropriately, he could turn into a dog who chews on whatever he can find to help him deal with fear, separation anxiety, or boredom. This is often inconvenient and expensive if you’re replacing your beloved items, but it can also be dangerous for your dog if he gets a hold of an electrical cord or if he swallows something that damages his insides or can’t pass through. 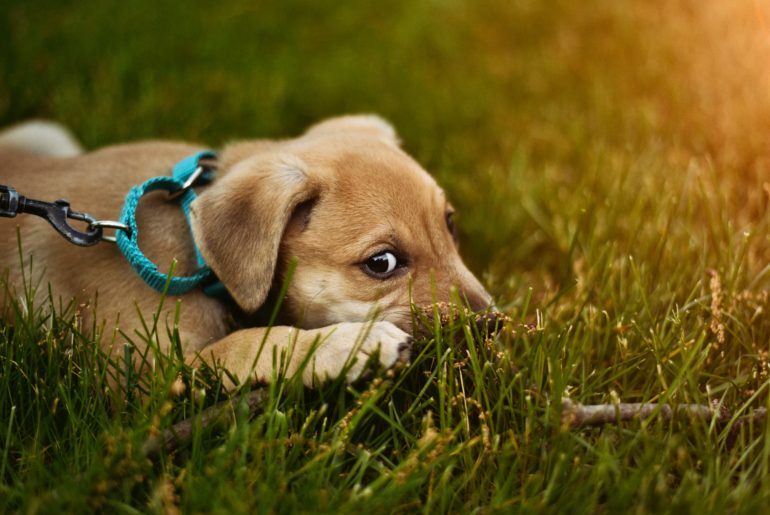 There are several steps you can take to teach your puppy to chew on rawhide bones and toys but not on your furniture, clothing, and other objects. 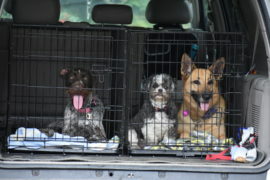 Pet MD recommends puppy-proofing your home: if you don’t want your dog to chew on it, put it where she can’t find it! Obviously, you can’t hide everything, but you can take care to close the closet or bedroom doors so some of the most tempting items are out of sight. 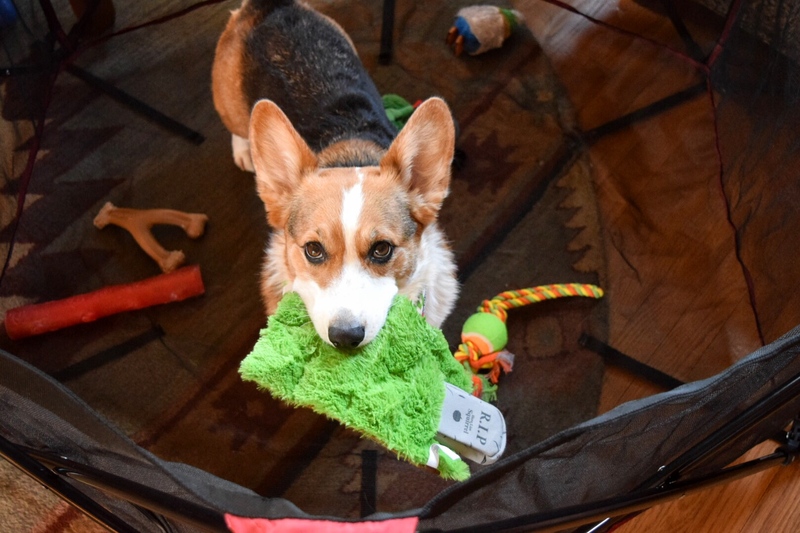 Properly crate-training your dog, or confining her to a smaller space by using a gate to close off a room where she has access to her own toys, can help. If possible, monitor your dog, and when you see her pick up something she’s not supposed to have, take it away and replace it with something she is allowed to chew. The American Society for the Prevention of Cruelty to Animals (ASPCA) recommends a variety of chew toys and edible chews like pig ears and rawhide bones, and suggests rotating them or offering new ones occasionally to keep it interesting. A puzzle toy with a treat inside can keep her entertained for a while! If you have an aggressive chewer, take care when choosing toys. 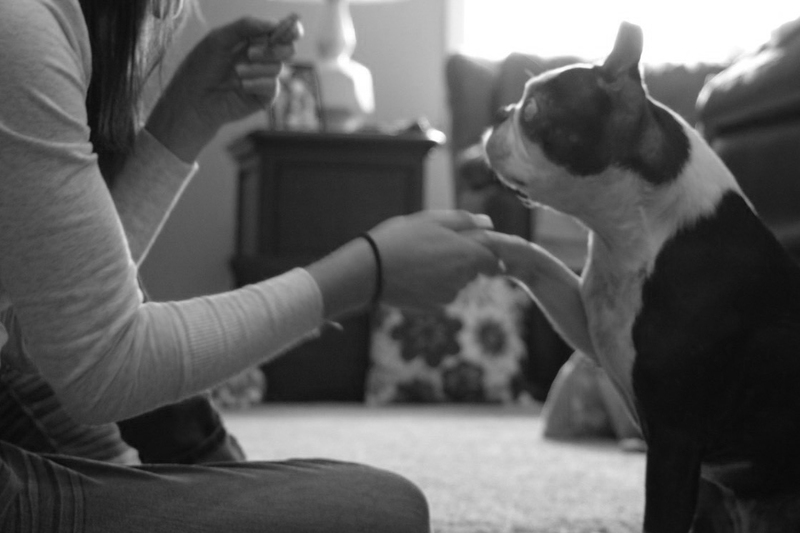 Some can easily be torn apart, and you don’t want your dog to swallow any small pieces. It’s also important to choose toys that don’t resemble your household items. It’s hardly fair to give your dog an old shoe to destroy, then scold her when she finds one of your new ones. If your dog insists on grabbing what isn’t his, try spraying a chew deterrent on the object. This article suggests Bitter Apple Spray. ASPCA suggests using the spray on a cloth and putting it right in your dog’s mouth. He will likely spit it out if he doesn’t like it, and hopefully from then on he will associate that smell with something he doesn’t want in his mouth! Spray it on the objects you’d like him to leave alone. 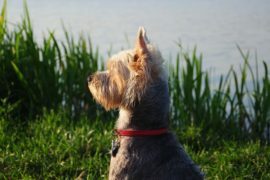 ASPCA and the Humane Society both point out that your dog can’t make the connection between a punishment and a past behavior. 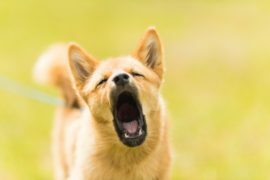 Punishment or scolding after the fact is unlikely to stop the chewing, and it could make your dog act out in other ways. Instead, stay consistent with the tips mentioned here to keep your dog happily chewing on appropriate toys while your items stay safe!